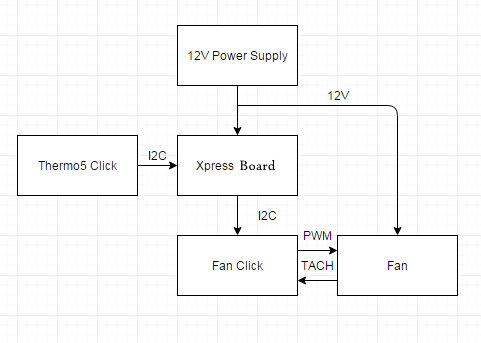 Check out this project's MPLAB Xpress Webpage to view the complete code example along with a detailed step by step write-up and description, or visit the PIC16F18855 Device Product Page for more information. As nice as an entertainment center with all the AV equipment neatly stacked behind a glass door looks, the ventilation leaves a lot to be desired, which meant temperatures inside the enclosure were often well in excess of 100F. I could just leave the door open while things were running, but that looked bad. At first I cut a hole in the back and had a computer fan blowing at full power, but the sound was loud enough to be annoying. While putting a potentiometer in series to control speed could work to fix that, I didn't want to have to tweak it if I added more things to the entertainment center, or have it going louder than it needed to be if not everything was on and generating heat. 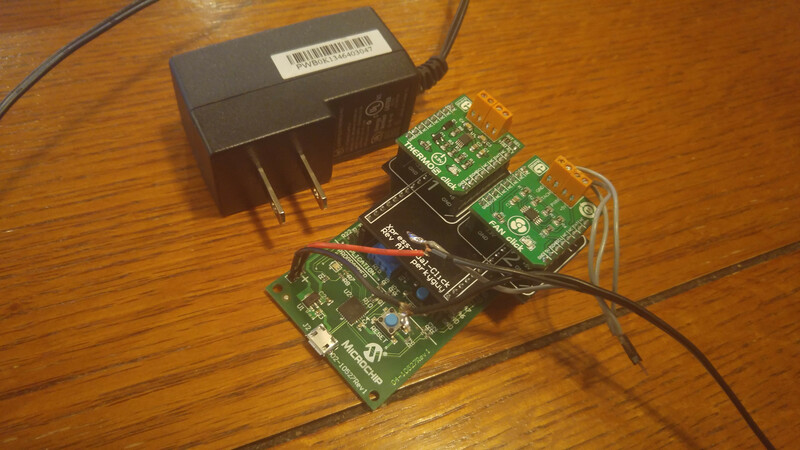 My solution was to adjust the fan speed based on temperature, using an off the shelf temperature sensor and fan controller module from Mikroe, and control it with the Xpress evaluation board. Xpress evaluation board This particular board has the advantage of both its low cost, and the onboard regulator which would allow me to power both the board and the fan from the same source. MEBus Breakout board This breakout board was necessary to use two Click modules on the Xpress board. 12V Wall Adapter Make sure whichever one you use can supply at least 1A. Both click modules go into the breakout board. Wires running from the TACH, PWM, and GND pins should be soldered to a 4 pin header, and the VDD wire should be left loose. The ground wire from the power supply should be soldered to the V- pin on the Xpress board, the 12V wire should be soldered to the V+ pin and the power pin on the four pin header. 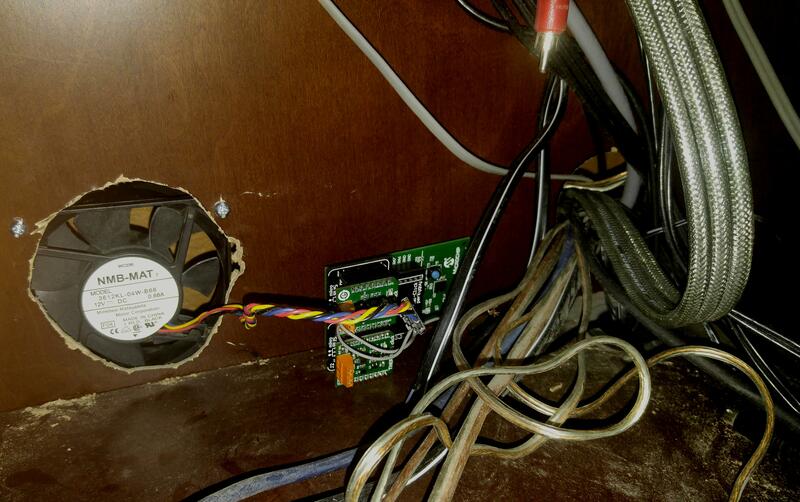 I cut a hole in the back of the entertainment center, and put the fan on the outside back to save room. Once installed, I plugged the four pin header into the fan, and plugged the power supply in.